ABC1K1 functions as a novel negative regulator downstream of phyB and HY5 in red light-mediated Arabidopsis development. Light is a key environmental factor for plant morphogenesis. To understand the role of ACTIVITY OF BC1 COMPLEX KINASE (ABC1K) family members in light-mediated Arabidopsis development, we examined the phenotype of abc1k mutants under various light conditions. We show that abc1k1 mutants display significantly short hypocotyls specifically under continuous red light and this effect is more apparent under higher red light fluence rates. The expression of PHYTOCHROME-INTERACTING FACTORs (PIFs), transcription factors in red light signaling, is repressed in abc1k1 mutants under continuous red light. The expression pattern of ABC1K1 is independent of light conditions. Furthermore, genetic analysis indicates that abc1k1 almost completely suppresses the long hypocotyl phenotype of phyB and hy5. However, the mutation of ABC1K3, one homolog of ABC1K1, reverses the inhibition of hypocotyl elongation in phyB and hy5 by abc1k1. 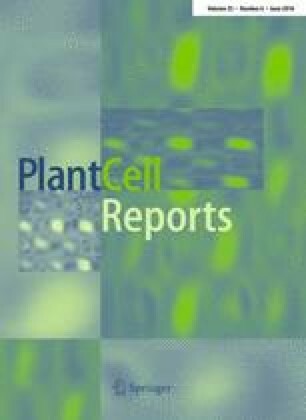 Together, our research describes novel characteristics for ABC1K1 in seedling stage and defines it as a novel negative component in red light-mediated Arabidopsis development. The online version of this article (doi: 10.1007/s00299-016-1953-7) contains supplementary material, which is available to authorized users. We acknowledge the reading and comment of this manuscript by Dr. Dongqing Xu. This work was supported by grants from the National Basic Research Program of China (973 Program: 2012CB910900), the National Natural Science Foundation of China (31330048), and a Grant from NIH (GM-47850), and Peking-Tsinghua Center for Life Sciences (to X.W.D), and State Key Laboratory of Protein and Plant Gene Research.